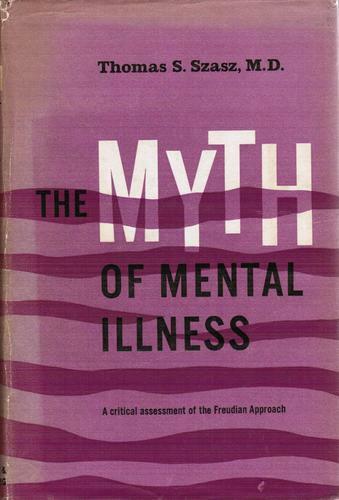 The beginning of our modern understanding of psychological disorders which updated Freud, goes back to a Syracuse Psychiatrist by the name of Thomas Szasz who wrote the now classic, The Myth of Mental Illness. –What Szasz observed was that not all irrational behavior or emotionally distressing experience is pathological, i.e. not every emotional problem is an illness. Sometimes life is simply too much for us, and here is the important point, healthy people can act, temporarily, in ways that appear quite disturbed. While there neurochemical and other physiological reasons for irrational thinking and behavior, sometimes the overstressing environment can blow our rational circuitry. –The research conducted by the DOD regarding the experience of soldiers in combat has helped us to understand in a wider and non-military context, the impact of trauma on mental wellness. Many problems which were once thought to be organically based neuroses are now more accurately understood as characteristics of post-traumatic stress disorder. –The take away from his revolutionary observation means that normal people can have emotional problems because of the stresses of life and not because that something is wrong with their brain. Further, therapeutic treatment can help folks to cope more effectively, even when the problematic circumstances can’t be changed.